While the headline is true, there is much we know already…and it is backed by solid science. Big Fat Fix provides a good introduction to some of the myths surrounding the role of healthy fat in the diet, and practical ways for you to adopt a diet with healthy levels of fat. 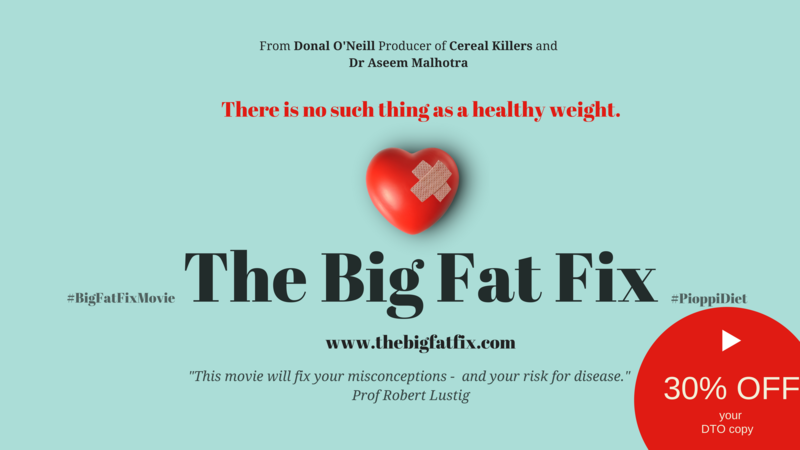 The producers of the Big Fat Fix, Donal O’Neill and Dr. Aseem Malhotra, are offering a special deal on the film to Robert Lustig fans. Just click on the banner to the left to access the deal.